Welcome to our collection of ethnology prints. 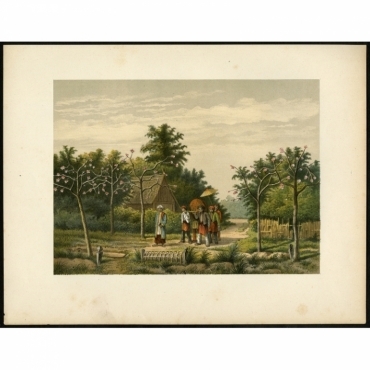 Explore our collection and find antique prints of various cultures, traditions and other ethnology prints. 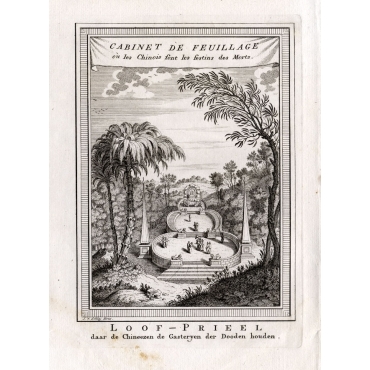 In our collection you can find a large collection of prints originating from the Kleynenberg series and the Perelaer series. Welkom bij onze collectie etnologie prenten. Ontdek onze collectie en vindt antieke prenten van verschillende culturen, tradities en andere etnologie prenten. In onze collectie vindt u ook een grote collectie prenten afkomstig uit de Kleynenberg serie en de Perelaer serie. 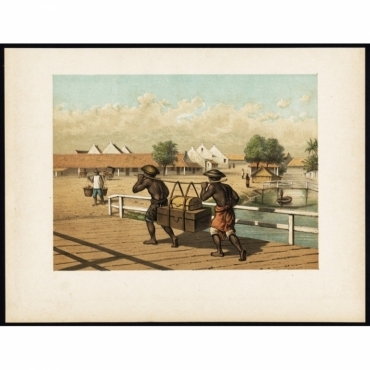 Antique Prints | Ethnology There are 148 products. 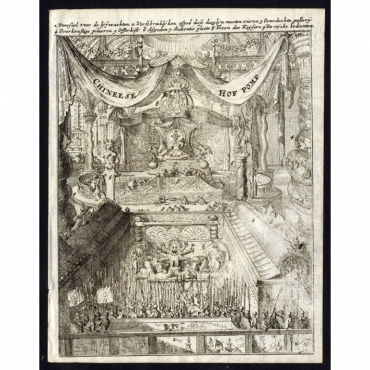 Plate: 'Diversche Feesten van de Moren - Als die van het Nieuwe Jaar.' (Several celebrations by the Morish / Muslims like the New Year celebration.) January 1664. Bengal, part of present day Bangladesh and India. 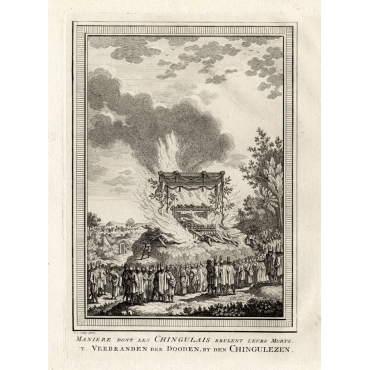 Plate : 'Maniere dont les Chingulais brulent leurs Morts'. (How the Sinhalese burn their dead.) This plate shows the Sinhalese custom of the burning of their dead. 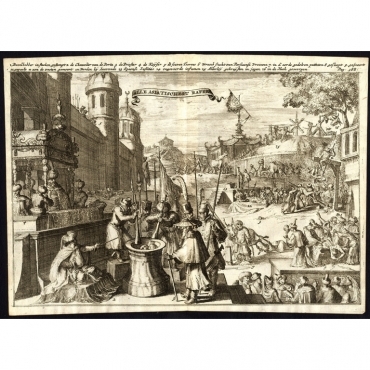 Views/scenes: 'Funerailles cruelles des Rois de Java. - Chateau flottant sur l'eau.' (Cruel funerals by the kings of Java. - Floating castle on water.) 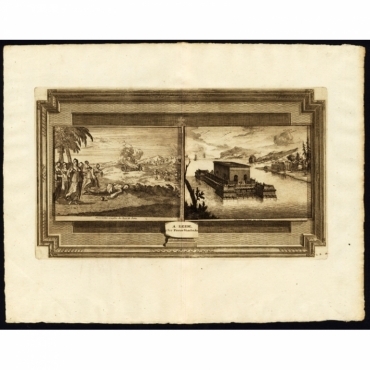 These plates surrounded by a decorative border show scenes on Java, Indonesia. Extremely rare in this edition. 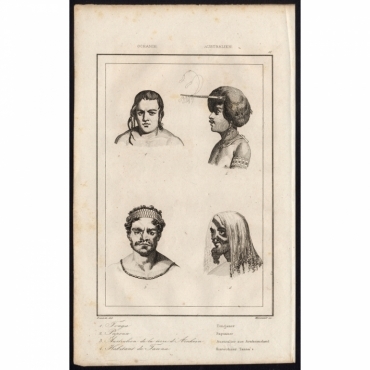 Plate: 'Habits des hommes et femmes en Pegu ..'. 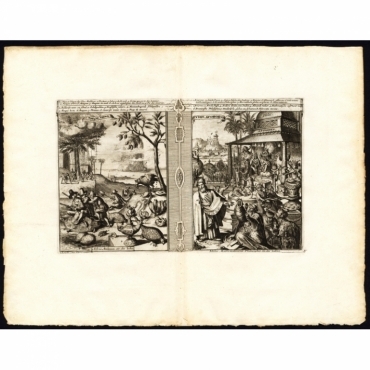 This plate shows 4 scenes dealing with the people of Pegu / Burma; habits of the men and women of Pegu - celebrating Peguans - cruel killing of traitors - funeral of the Peguans. 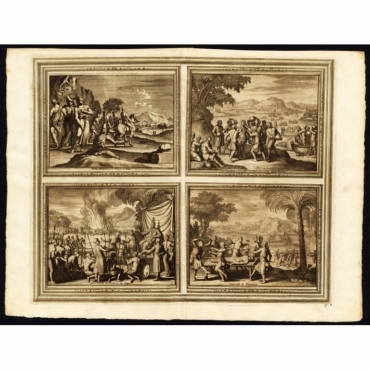 Plate page 193: This plate deals wit the native inhabitants of Malabar and their language. 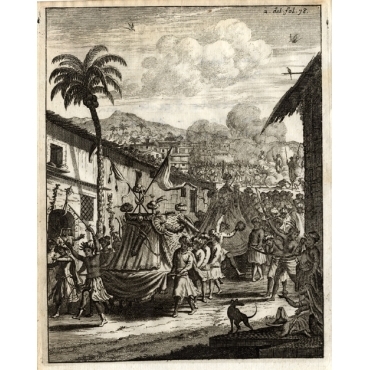 Dutch Malabar, also known by the name of its main settlement Cochin, was the title of a commandment of the Dutch East India Company on the Malabar Coast between 1661 and 1795, and is part of what is today collectively referred to as Dutch India. 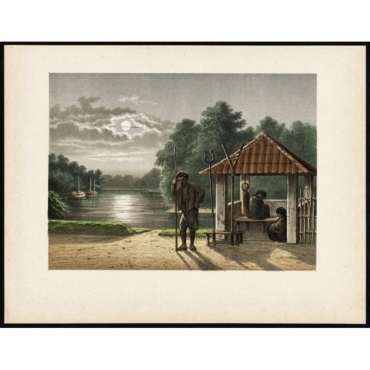 Plate I p.78: (A nightly scene with a kampong guard in Batavia / Djakarta on Java, Indonesia.). 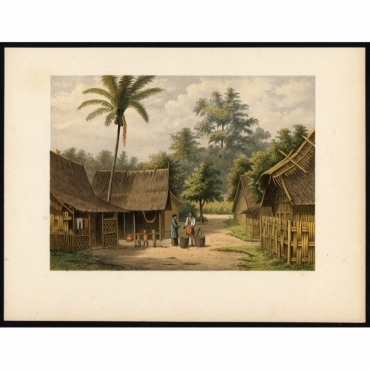 Plate Ib p.76: (A funeral ceremony on Java, Indonesia.). 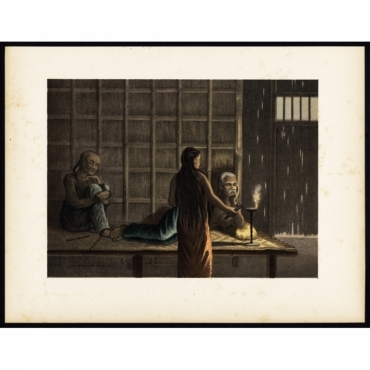 Plate II p.118: (An opium den in Yogyakarta / Jogjakarta on Java, Indonesia). 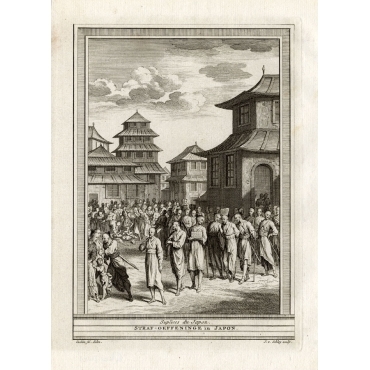 Plate: 'Chineese Hof pomp.' (Chinese / Tatar court luster, China.) In this Chinese court scene: 1. Guard quarters. 2. Terrible deity that has to be worshipped daily. 3. Roofed Gallery. 4. Decorated pillars. 5. Offer / sacrifice chest. 6 Deities. 7. Audience place. 8. Throne of the emperor. 9. Rich servants. Rare item. Plate 18: 'Afteeckeninge van de inwoonders van Banda soo sy ter oorlogh gaen.' (Depiction of the inhabitants of Banda Islands, Indonesia and how they go to war.) Rare. Antique print, titled: 'Tonga, Papoua, Australien de la terre d'Arnheim, Habitant de Tanna - 11, Oceanie', Four portraits: a man from Tonga, one from Papua, a native of Arnhem land and one of Tanna. 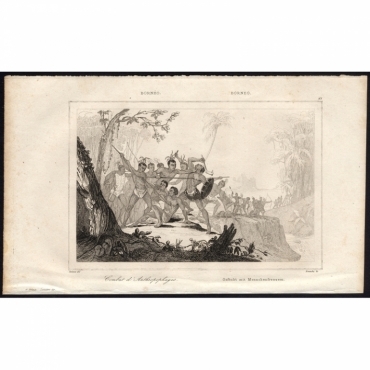 Antique print, titled: 'Entrevue avec les Sauvages - 258, Australie', A meeting between European explorers and the natives of Australia. 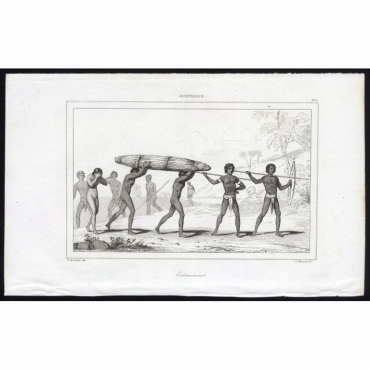 Antique print, titled: 'Enterrement - 264, Australie', Burial ceremony of Australian Aboriginals. Two men carry a wicker basket, led by two warriors with spears and followed by a grieving wife. 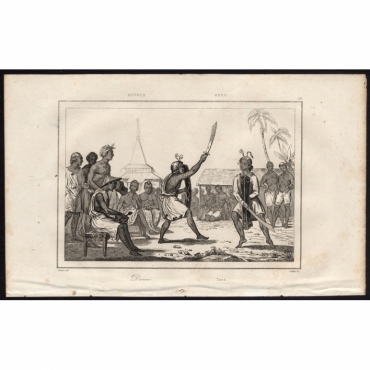 Antique print, titled: 'Danse - 55, Bourou', A ritual warrior dance of the Buru (Boeroe) island, the third largest island of the Maluku Islands of Indonesia. 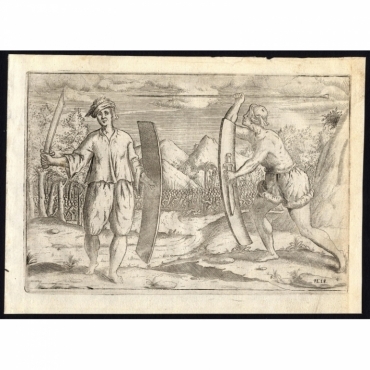 Antique print, titled: 'Combat d'Anthropophages - 61, Borneo', Battle of cannibals on the island Borneo. Antique print, titled: 'Chef et Guerriers en Costume de Guerre - 206, Archipel de Tonga', Chief and warriors of Tonga, in military costume.